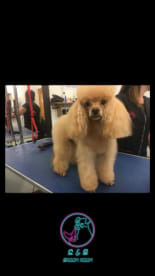 C&G Groom Room is the premier dog grooming service in Glasgow, catering to dogs of all breeds and sizes.Our fully qualified and trained groomers offer a professional, convenient and affordable service in a safe and friendly environment. We pride ourselves on extremely high standards and, as our customers will attest, we exceed expectations each and every time. 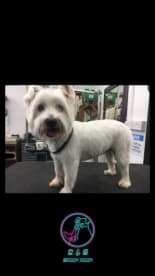 Whether it’s a quick wash and dry, or a full groom and pampering session, you can be sure we’ll give your pooch the royal treatment. Contact us on 07539458574 for more information. 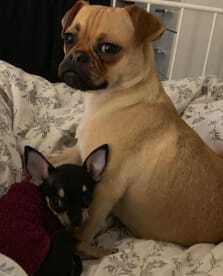 Skilled in all dog breeds, our staff work to your specifications and discuss different styles with you so that you don’t get any surprising results! 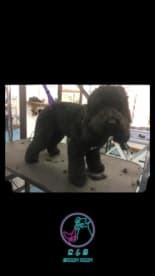 Our groomers use the highest quality products and offer services including the removal of matts and dead hair from your dog’s coat, stimulating the skin to promote good blood circulation, ear cleaning, mouth washing, tear stain treatments, nail trimming and full body haircuts. 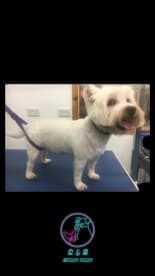 To make an appointment for your pooch, call us on 07539458574 today. Amazing & professional service. Would recommend to anyone looking for a reasonably priced service in the East End. Rhianne was great, will definitely be back! Please note that C&G Groom Room may not be able to honour booking requests made.